iXsystems, the leader in Enterprise Storage and Servers driven by OpenSource, is on track to continue its growth in 2017 due to significant increases in storage revenue, growth of worldwide customers in every segment, expanded channel presence, and new product releases. 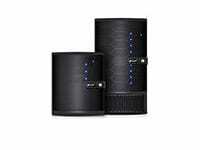 SAN JOSE, CA–(Marketwired – February 07, 2017) – iXsystems, the industry leader instorage and servers driven by Open Source, today launched the FreeNAS Certified Flash storage array. This 2U all-flash array (AFA) scales from a handful of TBs to over 100TB in 2U of rack space. The FreeNAS Certified Flash has a unified SAN/NAS architecture, ensures data is protected with its OpenZFS file system, and provides enterprise-class storage features formerly only found with arrays multiples the cost. iXsystems recently achieved a six- month milestone since its selection of VendOp as its official platform for customer reviews. VendOp is a trusted source for professionals to share ratings and reviews on business and industrial vendors. iXsystems announced that McGill University’s School of Computer Science has deployed TrueNAS® in its various computing environments across the campus. The school has deployed multiple storage arrays to thousands of students, researchers and teachers. They use TrueNAS to share files over NFS, CIFS, and AFP. 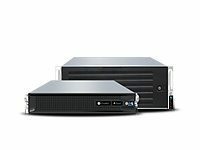 iXsystems announced today the launch of TrueOS®, the next evolution of PC-BSD. TrueOS is a modern, cutting-edge distribution of FreeBSD, combining the convenience and features of a rolling release distribution with the failsafe technology of ZFS boot environments. 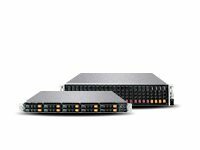 iXsystems, the industry leader in enterprise storage and servers powered by Open Source and SYNNEX Corporation, today announced that the gsa-logoU.S. General Services Administration (GSA) has authorized the addition of iXsystems’ suite of storage products and services to the SYNNEX GSA contract (GS-35F0143R) under Federal Supply Schedule 70.
iXsystems, the industry leader in Enterprise Storage and Servers powered by Open Source, today announced that it plans to implement a 100% channel and partner sales model for all its rack-based storage products. 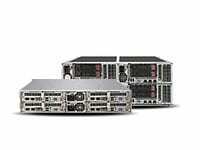 For over 20 years, iXsystems has used a hybrid direct and channel sales model to build a worldwide brand and user base for its rack-based product lines. 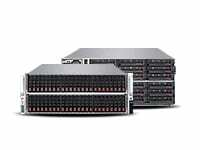 To meet increasing demand for its award-winning TrueNAS Enterprise Storage, iXsystems is launching the iXsystems Partner Program (iXPP) and is moving to a channel-only sales model for TrueNAS and FreeNAS storage arrays, while continuing to offer its server product line through its existing hybrid direct and channel sales model. iXsystems announced today that the fifth MeetBSD California conference will take place at UC Berkeley’s Clark Kerr campus on November 11-12. As in past years, this year’s MeetBSD California will once again follow a mixed “unConference” format and will feature breakout sessions, discussion groups, and talks from prominent figures in the BSD community. 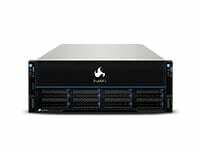 iXsystems, the industry leader in storage and servers powered by Open Source, today announced TrueRack™, a converged rack-scale solution enabling customers to quickly, easily, and automatically deploy thousands of virtual machines in support of hyperscale business-critical applications, including scale-out, scale-up, database and object storage, virtualization, VDI and Infrastructure as a Service (IaaS). 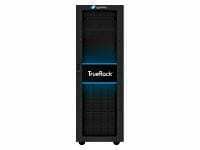 TrueRack offers over 4X higher bandwidth and up to a 70% lower Total Cost of Ownership (TCO) than Amazon Web Services (AWS) and other public cloud providers.